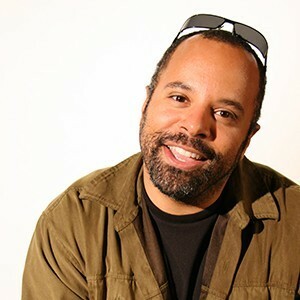 DJ Johnson is a filmmaker with over twenty years of experience in media education, with a concentration in media strategies for social change and community organizing. He has worked with nonprofit organizations and educational institutions to design media and promotional campaigns in a variety of areas including violence prevention, youth development, and healthy parenting. DJ currently serves as Assistant Professor of Practice in the Media Arts + Practice Division (MA+P) at the USC School of Cinematic Arts. He is recipient of the USC Mellon Mentoring Award for his outstanding teaching and support of undergraduate students. DJ has developed curricula and instructed courses for educational programs internationally. He is a co-creator and lead instructor of the Media Meets Message workshops, a US State Department funded initiative that trains creative professionals from countries around the world in the effective use of transmedia storytelling for social change. DJ was a 2017 film envoy with the American Film Showcase in Ouagadougou, Burkina Faso. DJ also serves on the Board of Directors of Picture Alternatives, a nonprofit organization that uses creative media to promote the social value and effectiveness of alternatives to violence.